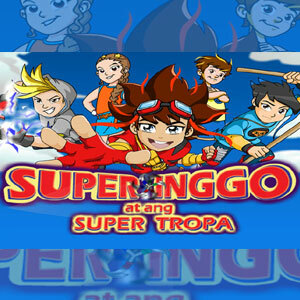 Super Inggo at ang Super Tropa will air everyday at 10:00 am before Showtime on ABS-CBN’s Prime Tanghali. On the first Monday of May (May 3), kids and kids at-heart can look forward to the return of the first all-Filipino anime TV series Super Inggo at ang Super Tropa. According to Business Unit Head Raymund Dizon the rerun is ABS-CBN’s summer treat to its loyal morning viewers. "Super Inggo’s live action and animated series has already become a part of the viewing habit of the Filipino family. And since it’s summer, management opted to have a rerun of the animated series on a daily basis so that more families would spend their morning watching it alongside other top-rating prime tanghali shows Showtime and Wowowee." Dizon added that apart from the drama, comedy, action and fantasy that Super Inggo at ang Super Tropa offers its viewers, the show was such a big hit among Pinoy families because of its "value-added" features. "In each episode, we make sure that there is a lesson to be learned. We teach kids important life lessons like loving their parents, taking care of nature and valuing friendships in a manner that they can easily understand. These values got the parents’ approval and made them watch it together with their kids." Whether it is your first or second time, don’t fail to catch the rerun of Super Inggo at ang Super Tropa, everyday, 10:00 am, before Showtime on ABS-CBN’s Prime Tanghali.